Programs to maintain, reset the diaper and ink level of Epson printers. Antispammers will help you clear your head of your printer, print tests print quality, the ability to reset pad counter of your printer, and the models of the L series and ink, register No. head (replacement), reflash the printer. If you are the owner of the Epson printer, the Antipampers is useful both for servicing your printer and for checking its performance. Choose the desired version of the Antipampers. The program Antipampers Ultra Full supports all printers (from the list of supported) and all functions (description of the program). Program Antitampers Ultra Prof is designed for resetting diapers and service of Epson printers (not supported by L series). The program anti-Diaper Ultra l Prof is designed to service, reset the diaper printers Epson L series (see list of supported in the description), and reset the ink level on printers Epson L800, L200, L100. 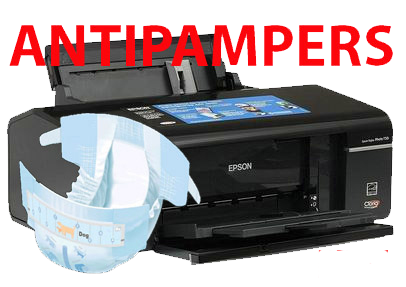 The program antipampers Ultra L is to reset the ink level on the printer Epson L800, L100, L200. The program anti-Diaper Ultra is designed to reset the diaper on Epson printers see (list of supported models), service functions are not supported.